What can be more fun than hide and seek on the Spongebob themed map for Minecraft PE. Despite the feeling that map is a bit small, there are a lot of places to hide, especially if you're playing with a few friends. 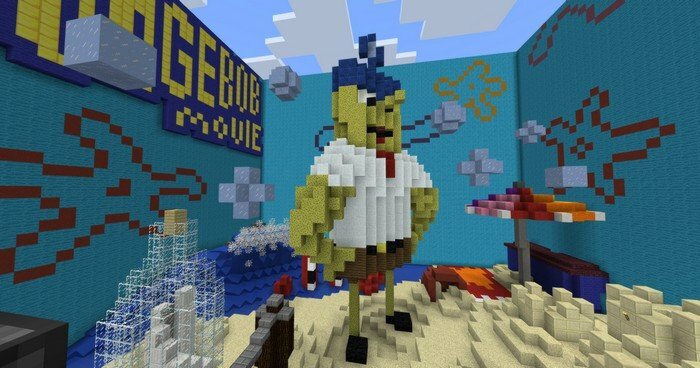 Map was originally created for Xbox Edition of the game and ported into MCPE, it is based on the SpongeBob movie.